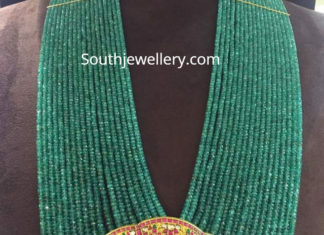 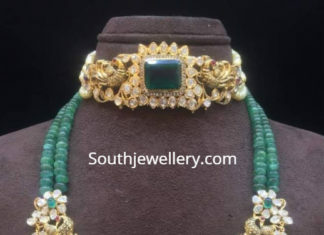 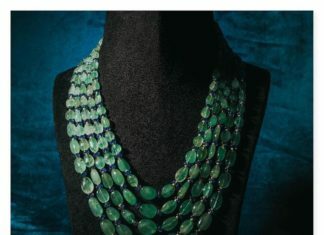 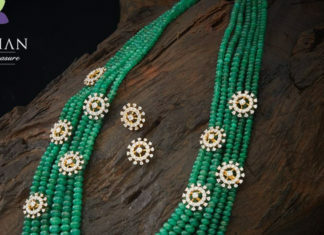 Five line emerald beads mala by Akoya Jewels. 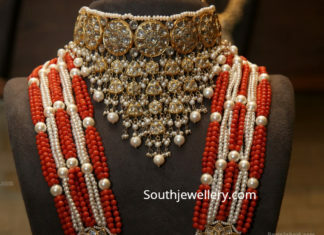 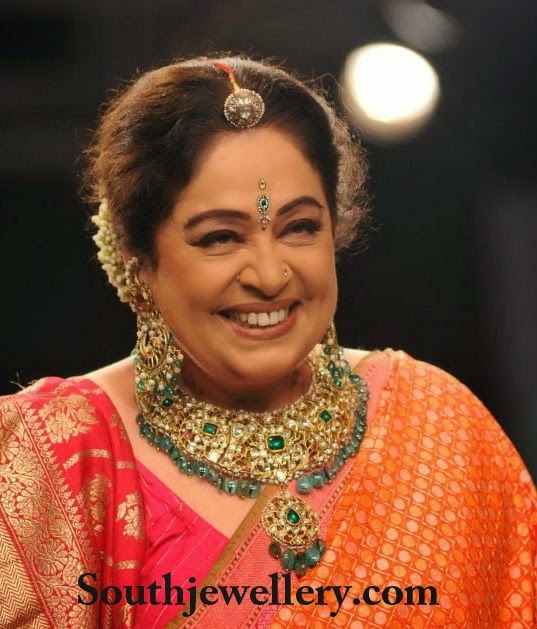 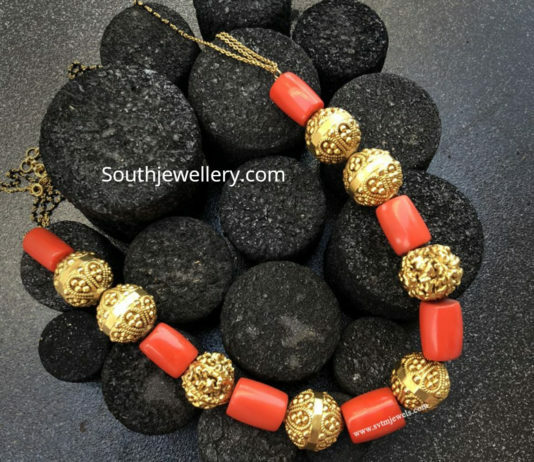 22 Carat gold antique uncut diamond choker and pearl and coral beads long chain with uncut diamond pendant by Tyaani Jewellery. 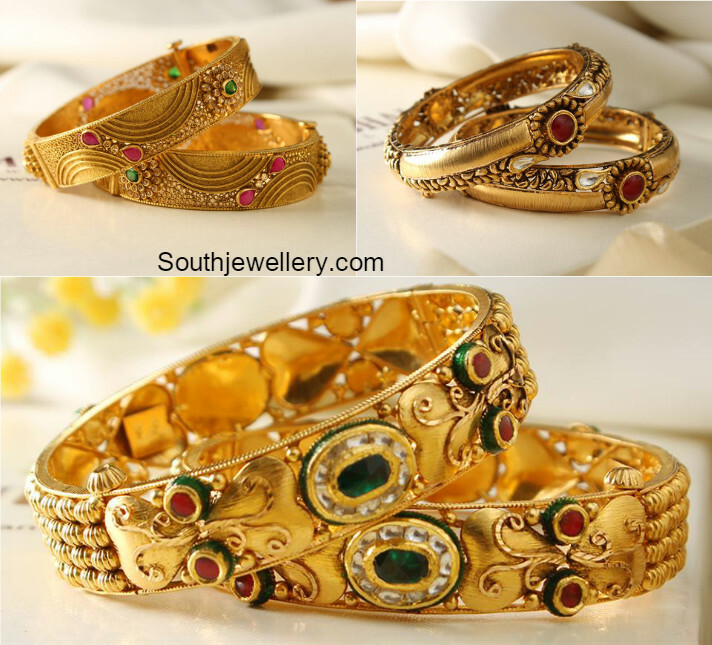 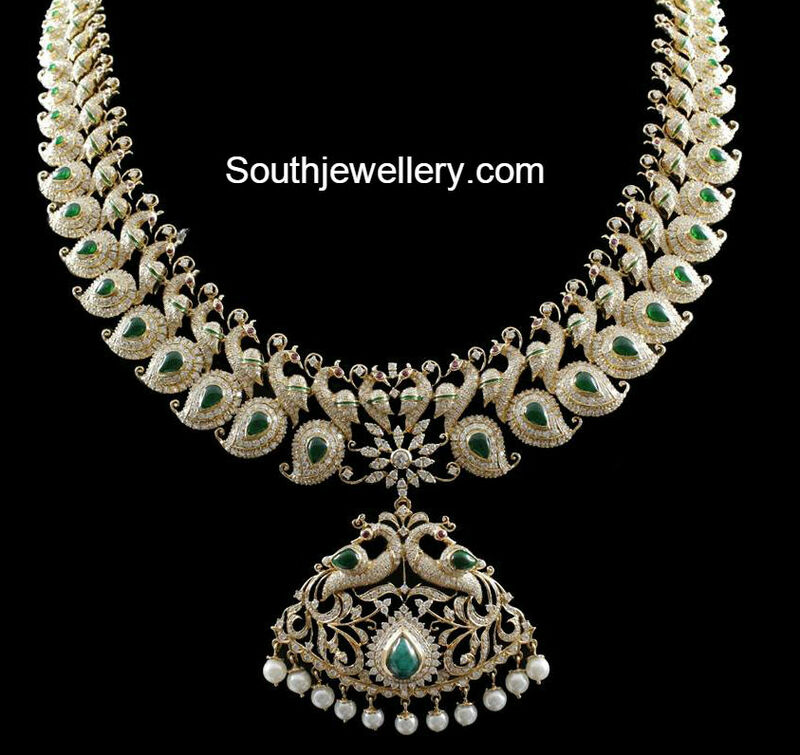 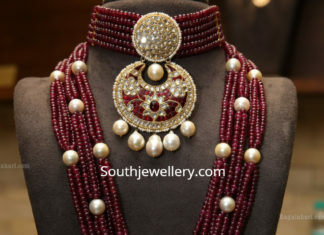 Ruby beads choker with uncut diamond pendant and ruby beads long necklace with uncut diamond pendant by Tyaani jewellery.